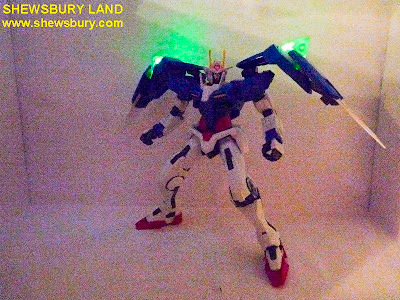 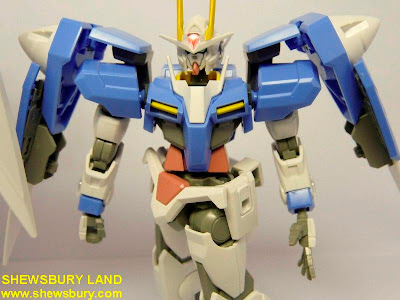 OK, this is basically the 3rd 00 Gundam we've seen here in these 3 months since July 2009. 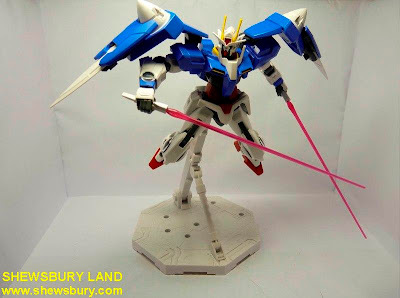 Obviously, I love 00 Gundam. 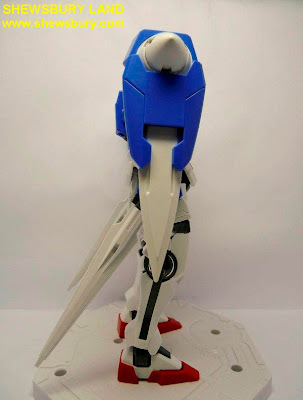 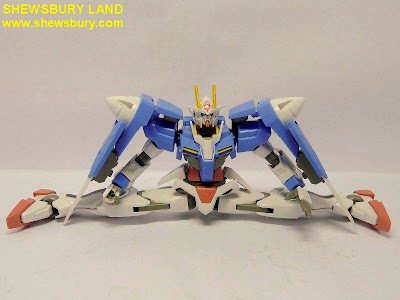 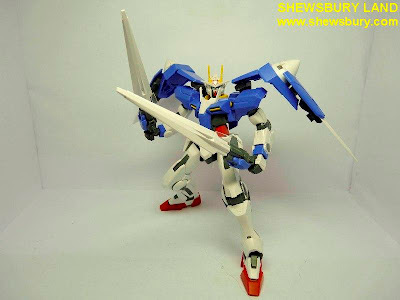 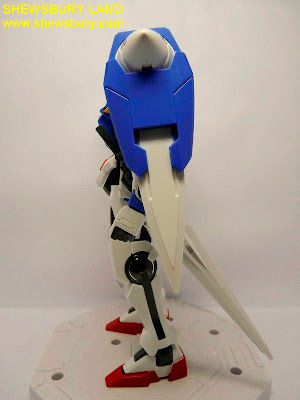 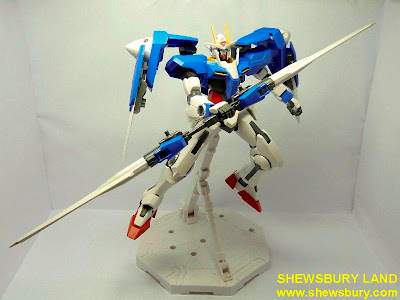 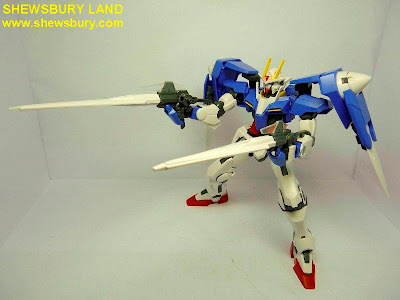 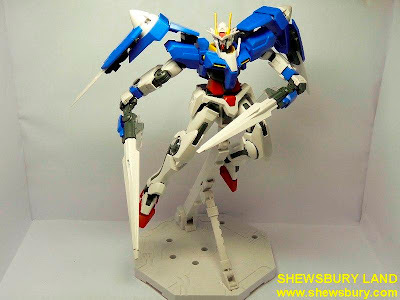 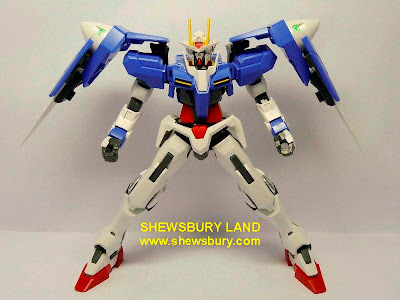 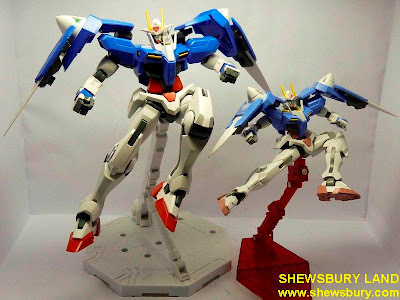 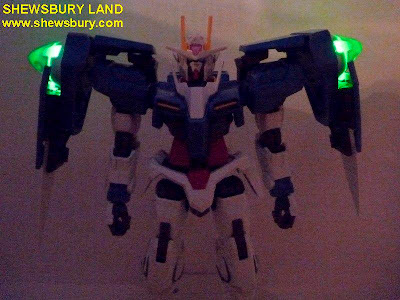 With the HG 1/144 kit you can even do the 360 degrees and thus enabled you to do many dynamic action pose. 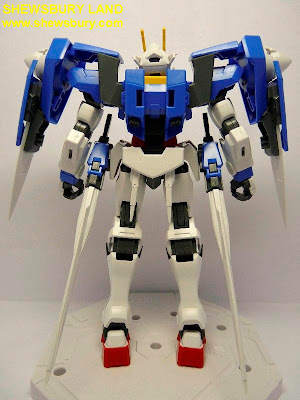 But with the big guy (1/100 kit) that is not possible... this is the best it can do but in a way it may look more realistic this way - maybe? 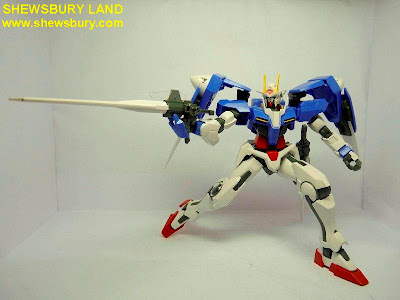 OK, that's all for the action pose with the weapons... eventually I skip the shield part but I think you've seen that in my previous review which you can read in here. 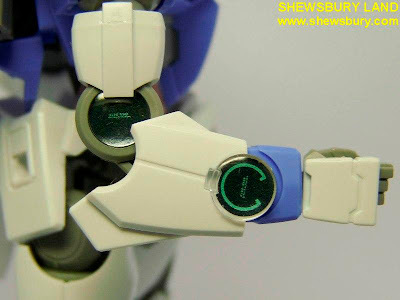 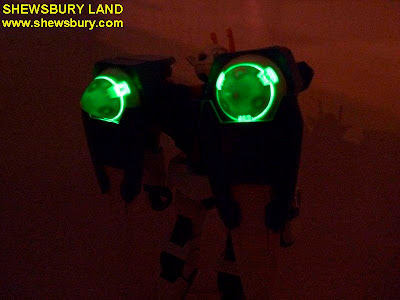 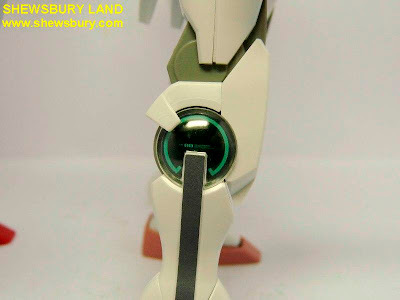 You can also see the Robot Tamashii 00 Gundam in here. 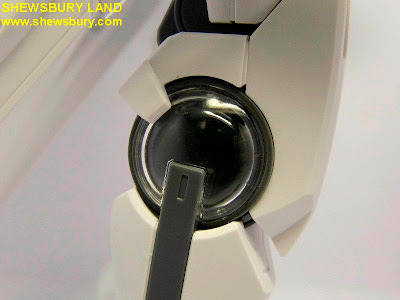 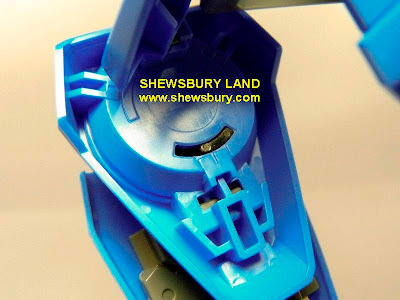 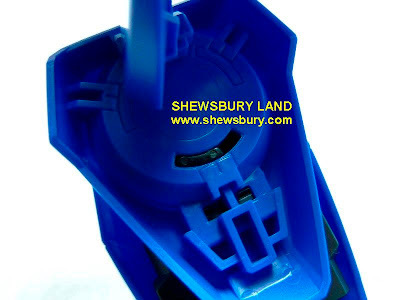 There is a switch on both GN Drive parts... sliding type... my only complain is that sometimes it can be quite difficult to slide the switch... sometimes I can just use my finger but most of the times I rather use pen... much easier.. 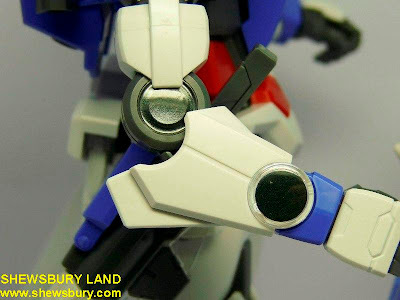 So that's all about it... now a little bit more on the articulation part which I did not mention earlier... the articulation on the whole leg part is not that great... well, I am comparing it directly with the HG 1/144 kit and as you can see in this photo... the HG 1/144 kits is extremely flexible. 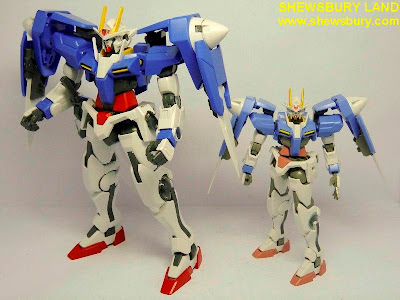 Overall, I personally believed the HG 1/144 kit is much better if compared to the bigger 1/100 kit. 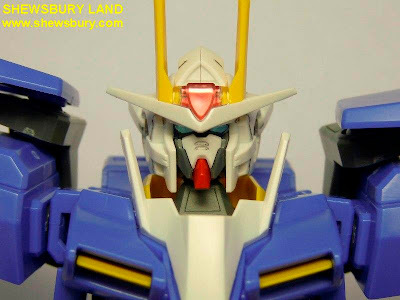 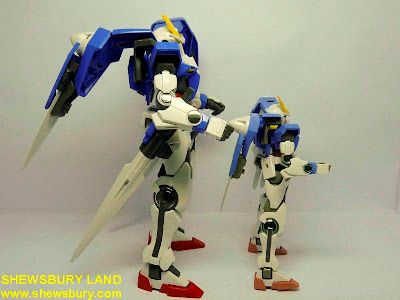 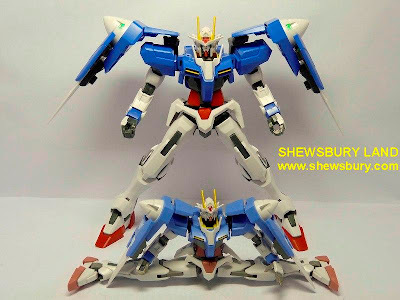 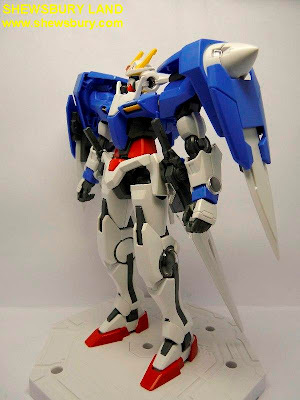 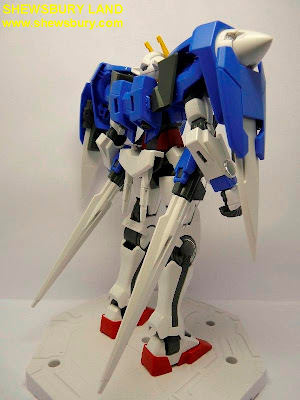 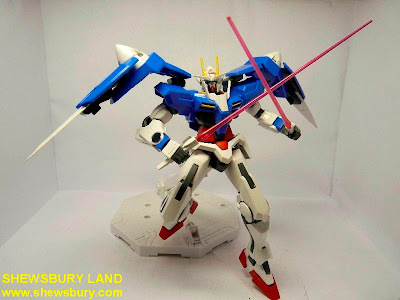 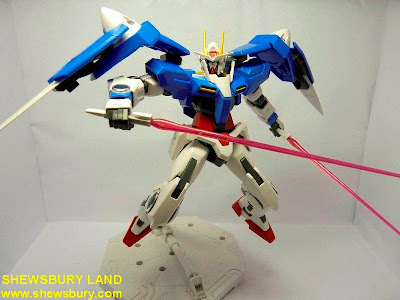 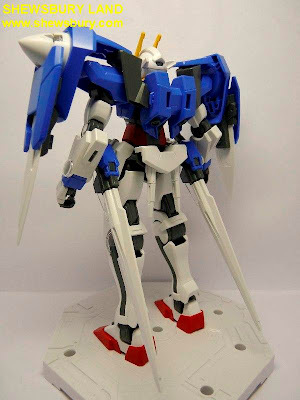 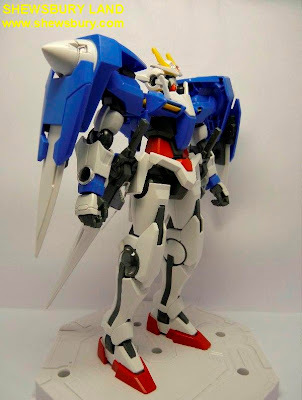 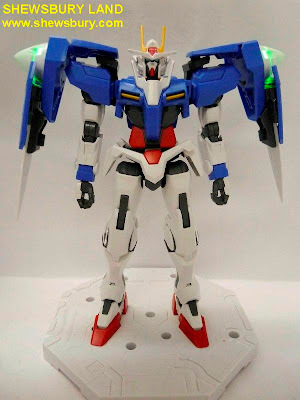 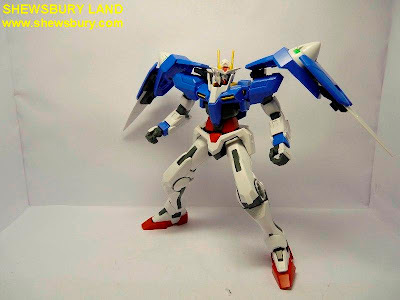 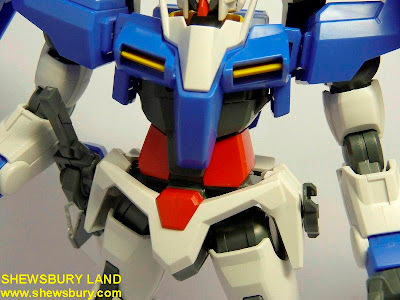 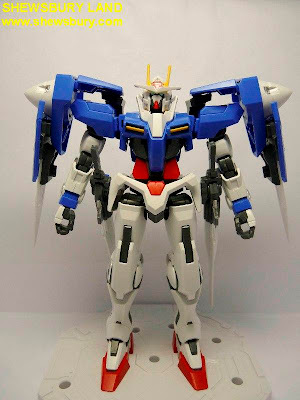 Probably you are well aware that Bandai always make HG 1/144 kits for any major Gundam anime/OVA/movie and this is because Bandai knew that this small HG 1/144 kits is indeed and important sector of their GunPla division. 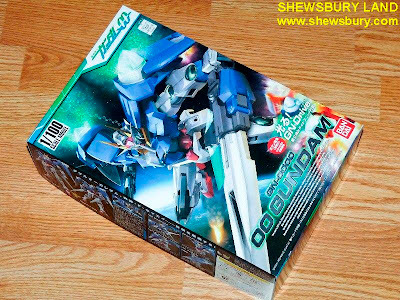 Anybody want to swap this with any Zeon model that you have?